MENTOR, Oh. — Tyler Stewart recorded his third hat trick in the tournament to help lift the Burrell Bucs past the Omaha Jr. Lancers (NE), 6-3. The Lancers came out strong in the first with solid forechecking and physical play. Dane Hickey got his team on the board first at 5:21. Omaha received their second goal of the game as Cole Bieber found the back of the net while on the powerplay early in the second period. 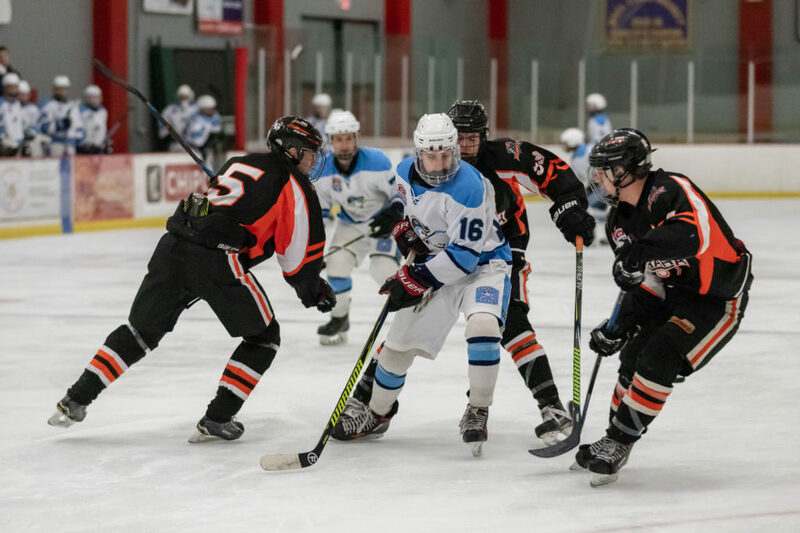 Burrell finally got things going when they tied the game at 2 with goals from Tyler Stewart and Cole Vazzana, but Nick Novak then gave Lancers the lead heading into the ice cut. The Bucs came out in the third looking like a new team, outshooting the Lancers 12-5. Tyler Stewart recorded two goals in the final period and Bryce Schueler netted the game winner. Jonas Sopko added his first goal of the tournament late. Drew Burkett stopped 31 of 34 SOG (.912%) for the Bucs and Joe McElwain stopped 17 of 23 SOG (.739%) for the Lancers. Burrell will play Smithtown-Hauppauge (RI) on Sunday at 10:30. Burrell’s Tyler Stewart leads all players in Division II with 14 points. Drew Burkett has a 0.898 save % after three games. Brock James (3G/1A) led the Lancers in points with 4. Goaltender Nolan Eikerman, who did not play in the final game, had a 0.912 sv% during the first two games.